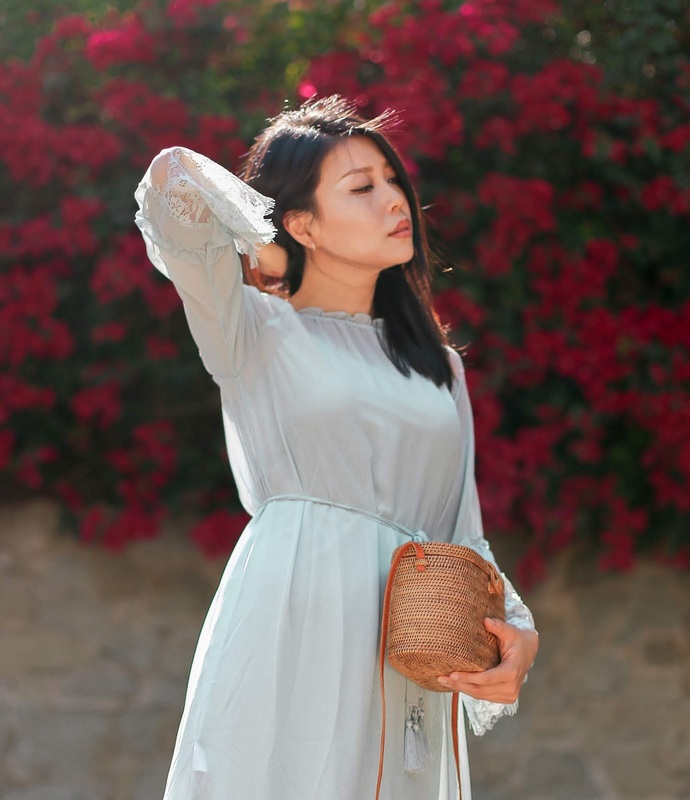 Summer style in a powder blue lace dress. I wore this feminine and soft powder blue dress to a wine tasting at A.O.C the other day. I love the modest silhouette, a welcoming departure from trendy crop tops and drop it like it's low necklines. I'll definitely wear it again to summer picnics, flower field strolls, and other Insta-contrived outings. I must say, it felt nice to dress up for a change as I've been alternating between jeans, sweatpants, and if I'm feeling extra, a pair of leggings with side cut-outs. Help, Mom life is holding my style hostage.